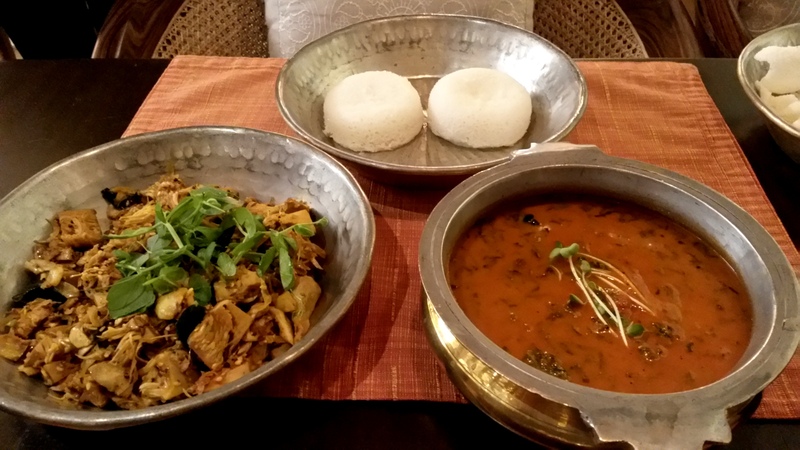 My latest engagement with the Vivanta by Taj was yesterday when I was invited over by its F&B head Rishi Kumar to experience the revamped ‘Konkan Café’ a brand curated by Chef Solomon for almost a decade and half. It has won a lot of awards in the past for its coastal and seafood offerings and continues to; with the latest one from the Time food guide. My first tryst with the Taj President (now Vivanta by Taj) happened during my catering college days in early 2000 when we were hosting a ttheme dinner at the Dadar Catering College. Our theme was Thai and our mentor was Chef Ananda Solomon the man behind Thai Pavilion and who was and is at the helm of all business hotels of the Taj. 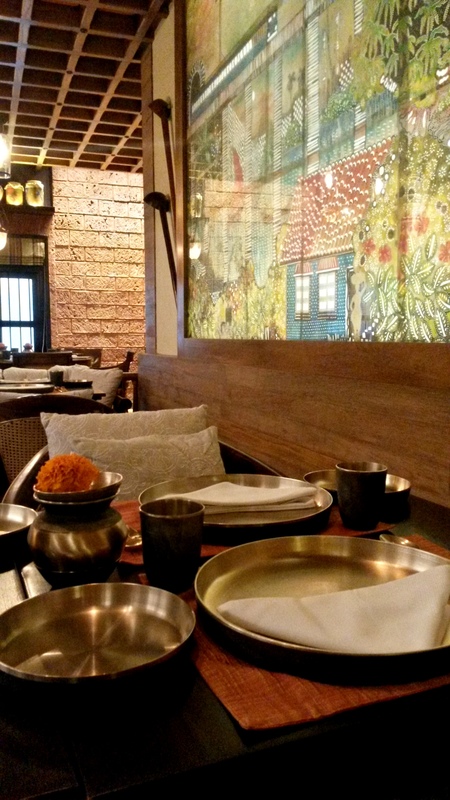 After visiting the Pavilion a few times, tasting food and drinks and interacting with Chef Ananda I understood the discipline, commitment, the passion and the research that went on to get the restaurant the status which it has upheld till today. 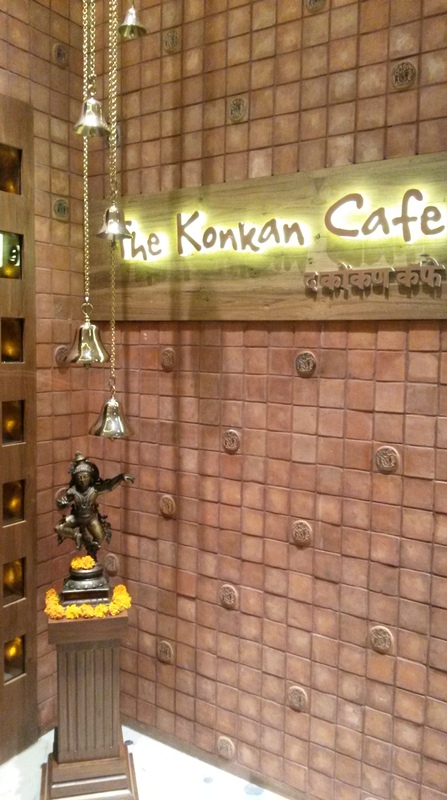 Konkan café is another such ‘high on the pedestal brand’ and I was totally looking forward to the food high. 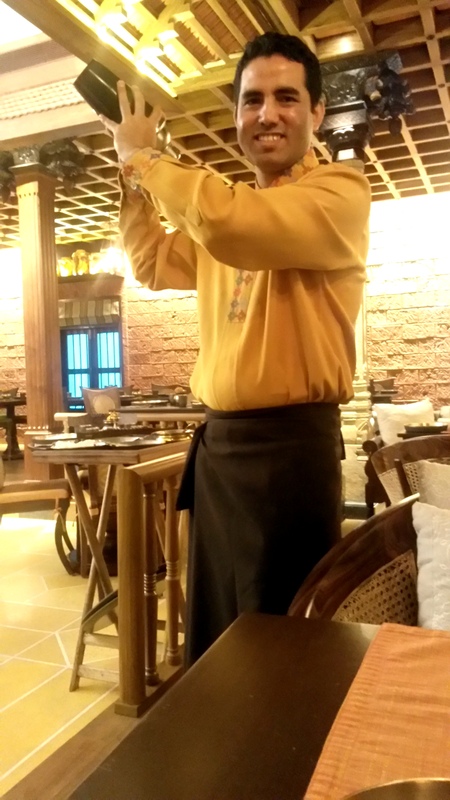 A mid-way between casual and fine dining, on one hand you will find the serenity of a fine diner and on the other one can find stewards flocking together to sing on your birthday with all the ‘Konkan Café style’ razzmatazz. The Konkan café serves you cuisines from the coastal belt starting from southern Maharashtra all the way up to northern Kerala. “coconut’ is one go to ingredient when it comes to coastal cuisine and I don’t mind eating it all day long. 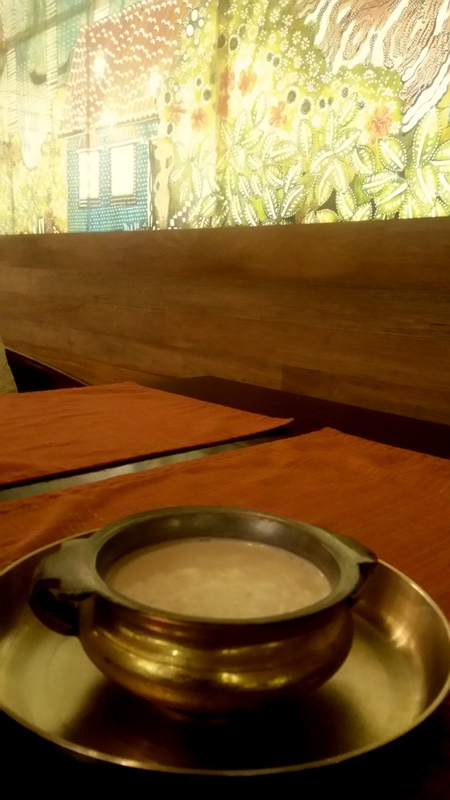 I started with a refreshing glass of Sol kadi (made of Kokum a fruit indigenous to the western ghats and know for its cooling properties) enriched with coconut milk with a prominent flavour of garlic. It worked as a perfect aperitif made be impatient till the next course arrived. 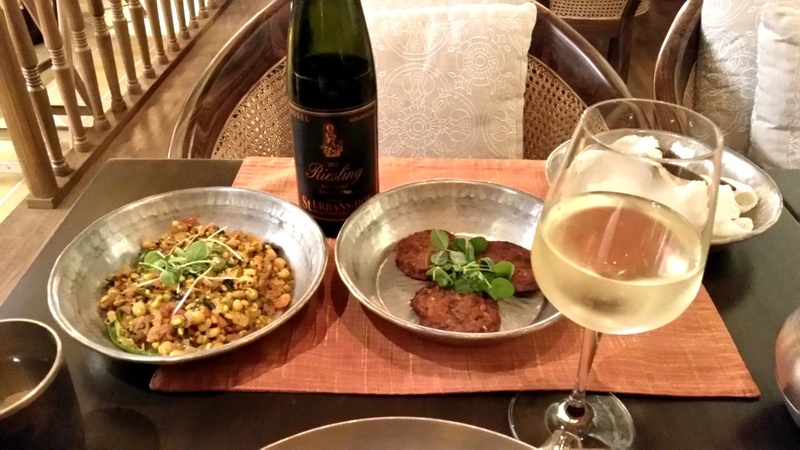 In the interim I ordered a glass of the ‘ Konkan Café’ Chenin Blanc to go with the poppadams and the assorted chutneys on the table. Made of Banana Flower an ingredient used rampantly in Asian and south Indian cuisine. This was steamed, spiced, pattied, deep fried and served with coriander and coconut chutney. Very piquant in taste, I could associate it with tart deep-fried plantain. Mix of different sprouted lentils tempered with curry lead and mustard and had a hint of ghee. Soft steamed sprouts made into a warm salad like preparation was delish. I went in for a German Riesling an off dry style with the starter, trust me it was a match made in heaven. A dry raw Jackfruit preparation is definitely a rarity in the city. A must have of you have never tried a jackfruit preparation. Suggest you have appams/neer dosa with the same. Gassi is a wet Mangalorean preparation made with coconut and red chillis and flavoured with cumin and coriander. It is popular for its fish variants but this one was with spinach. It went well with Sannas, a Managlorean idli like preparation made with rice flour but the gravy by itself was lacklustre I thought. Bebinca a classic Goan dessert, a must for celebrations; is a layered pudding made with eggs, milk, and butter/ghee. The Konkan Bebinca was served warm with ice-cream. Soft and opulent with a hint of sweet spice, the ice-cream in this case or some custard can help to make it a bit moist. 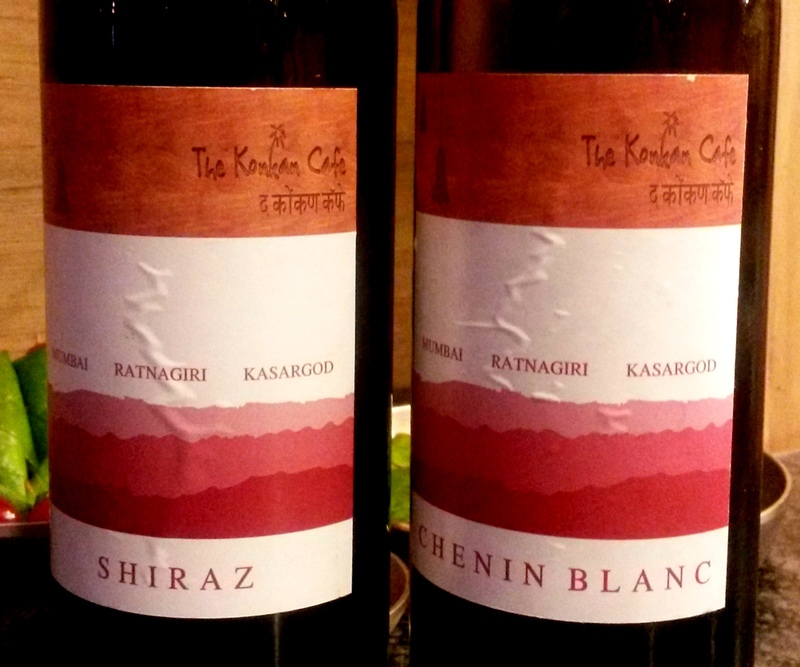 I tried a few retailed in Goa a couple of times but never again, I am so glad to find it here in Mumbai! 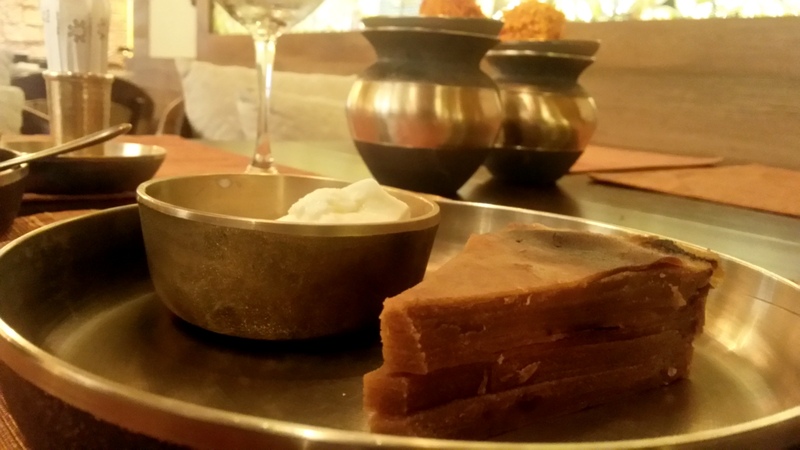 This chilled dessert is coconut milk sweetened with jaggery with bits of tender coconut. A real palate soother! 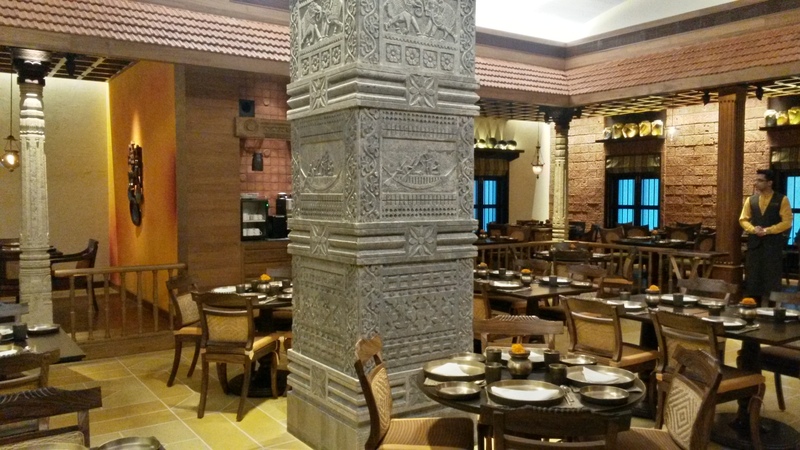 – They are open for breakfast on the weekend serving South Indian fare. Pick anything for Rs 150. Thank you, Dhanyavada, Upkaram……Devo baro karon!